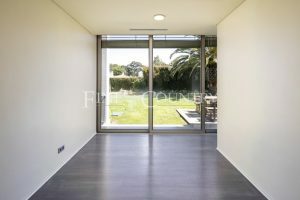 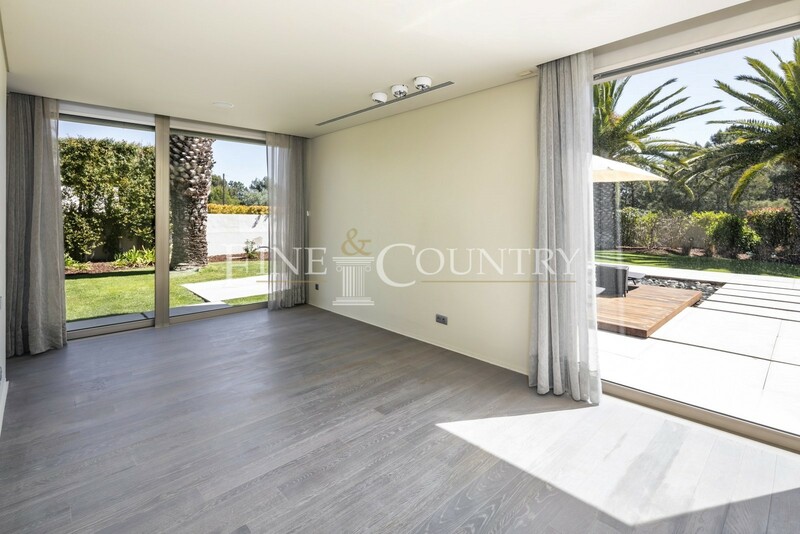 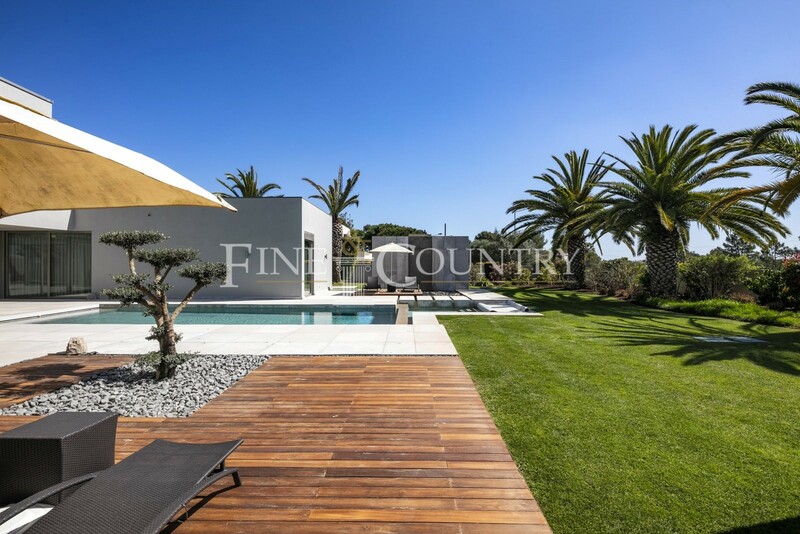 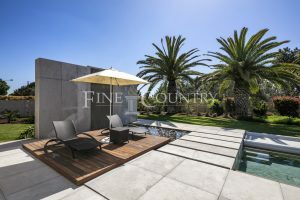 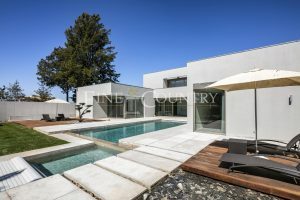 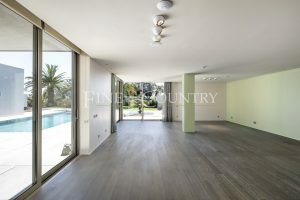 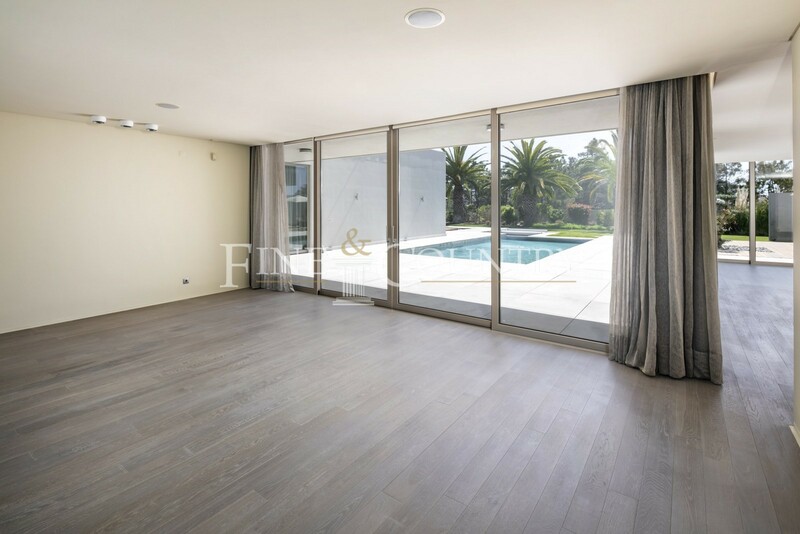 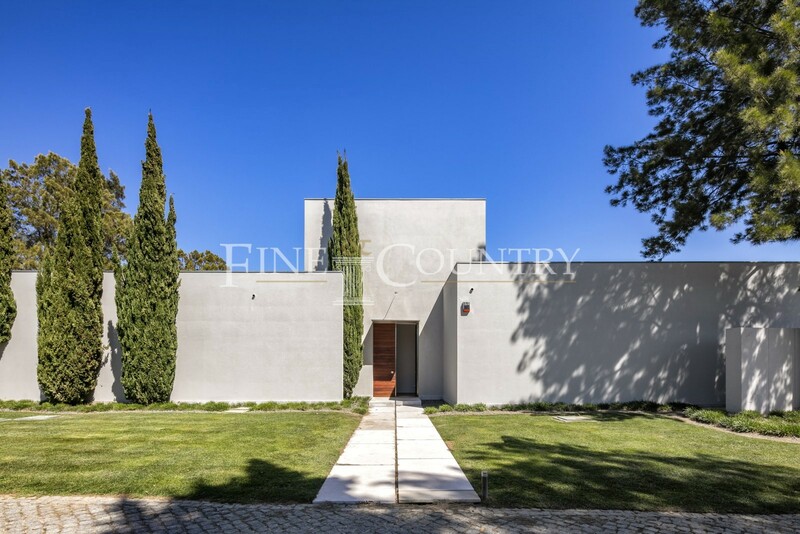 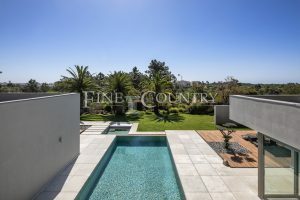 This stunning detached 4-bedroom villa with heated pool, a big basement and an additional 1-bedroom cottage has a built area of 635 m2, set in a 3.845 m2 plot in Montes de Alvor, just a short drive to numerous bars, restaurants, cafés and close to the magnificent Alvor beach as well as to several golf courses. Faro airport can be reached within 40 minutes by car. 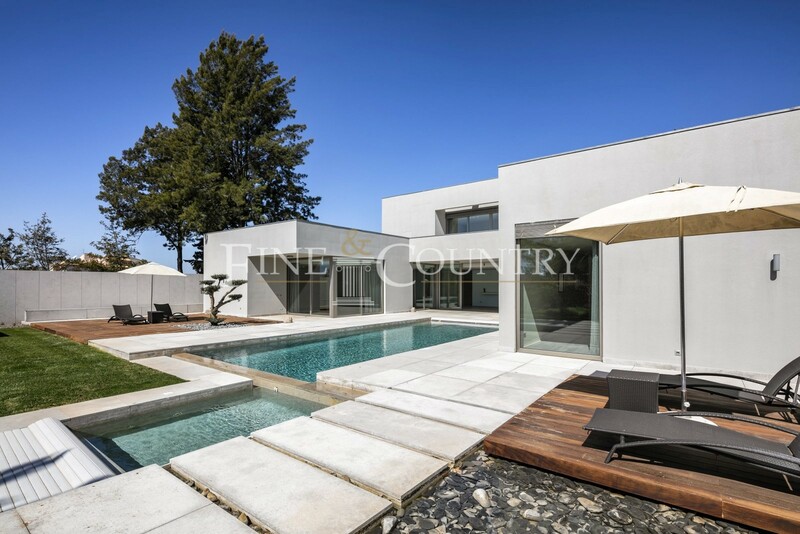 The outstanding villa is dominated by clear and serene lines. 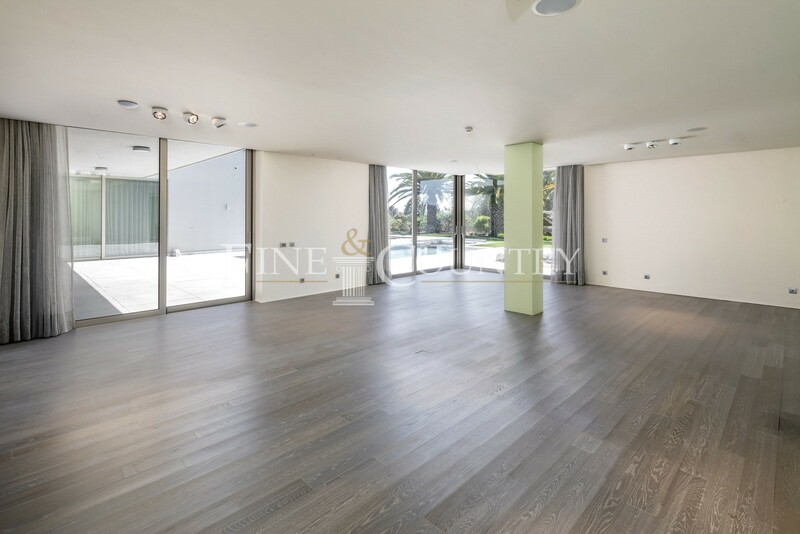 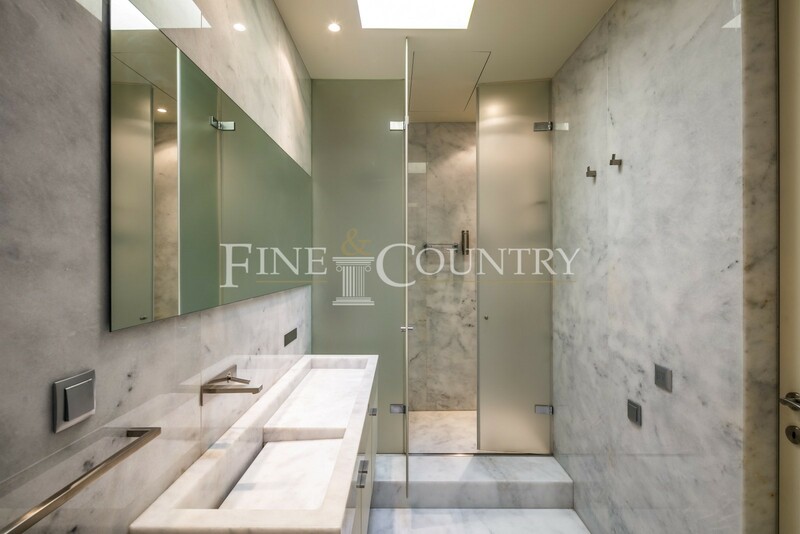 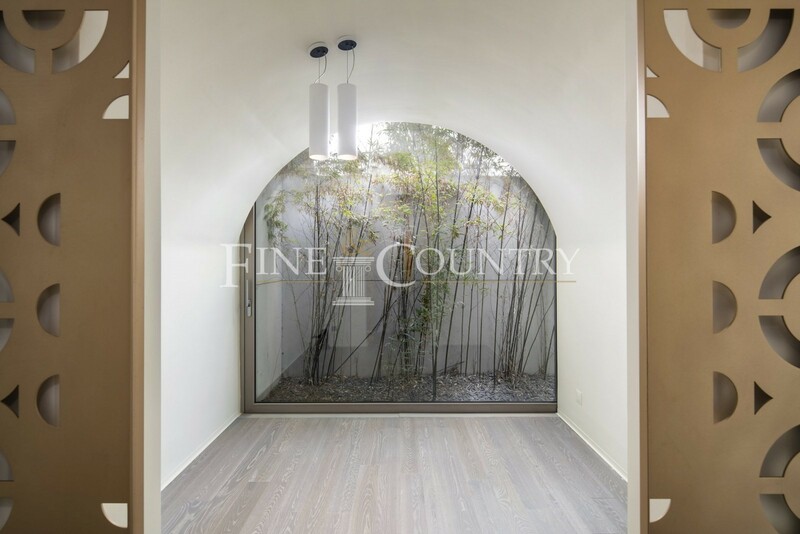 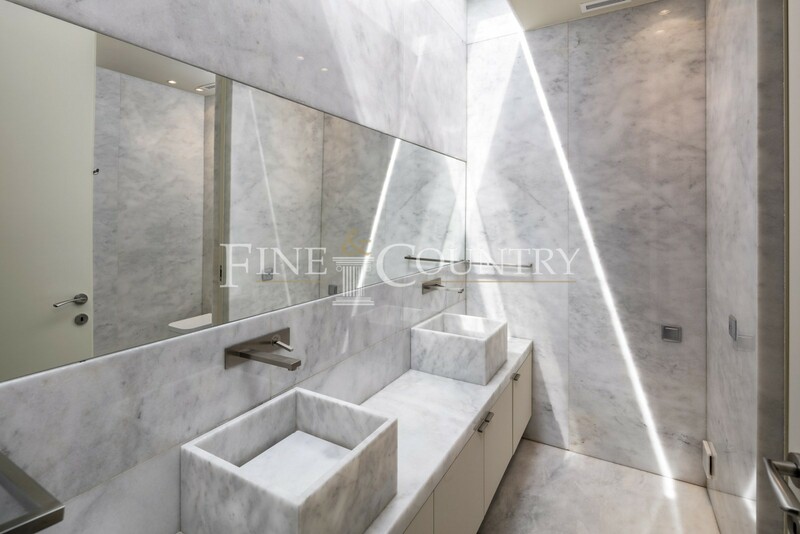 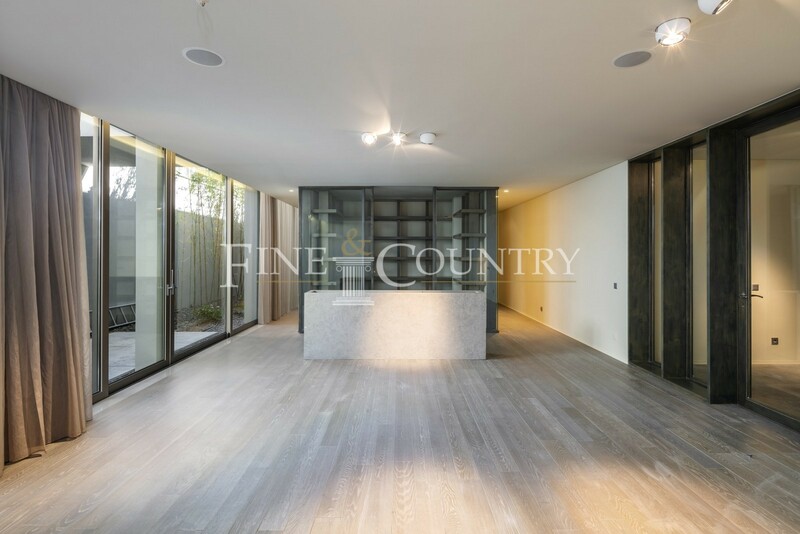 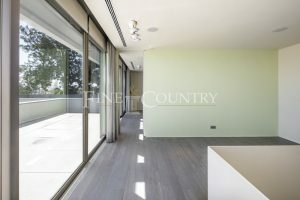 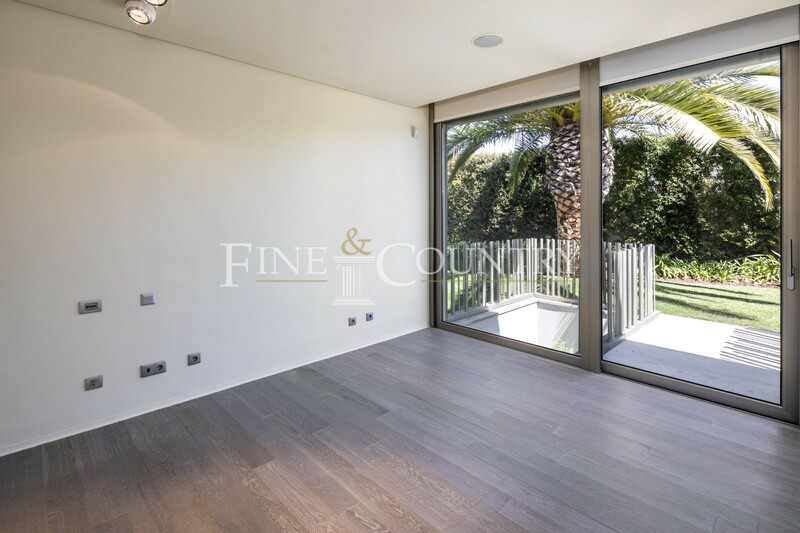 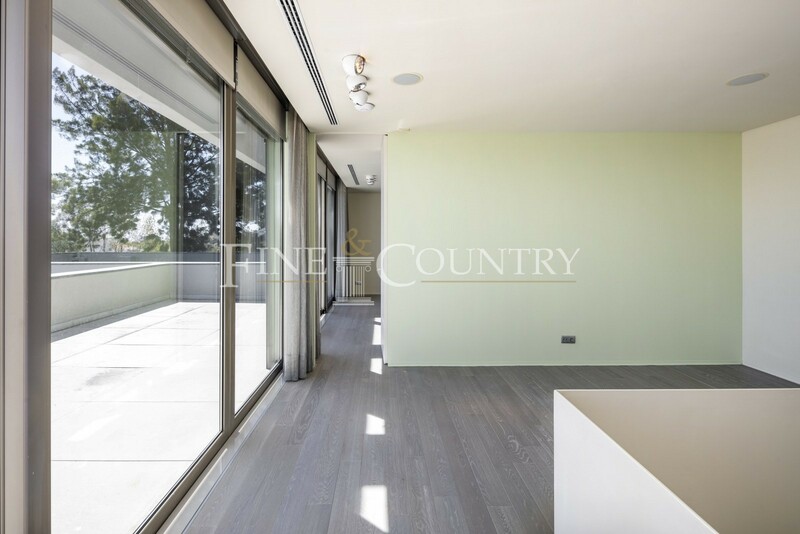 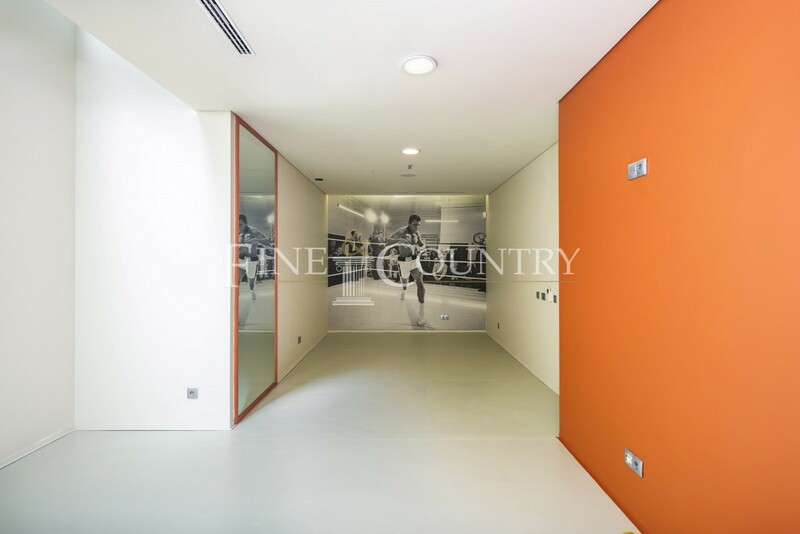 On the ground floor, the entrance hall leads into a small office/ yoga room, a guest WC, into the spacious lounge with PLANIKA-fireplace and into the dining room where high floor-to-ceiling windows flood the room with natural light. 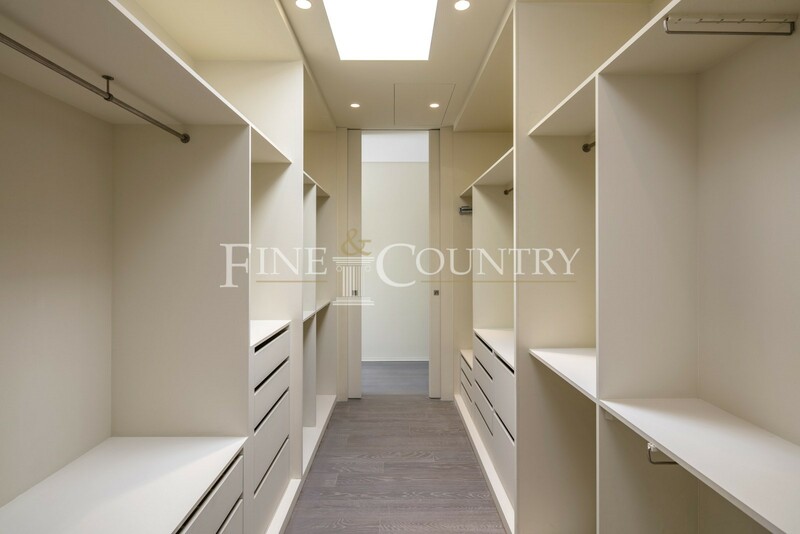 There are 3 en-suite double bedrooms on the ground floor one of which has its own dressing area and a whirlpool bath + a steam room in the bathroom. 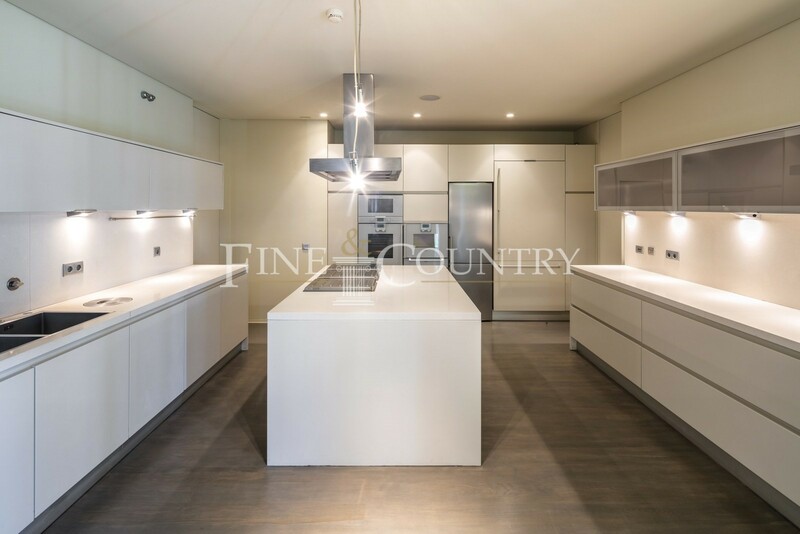 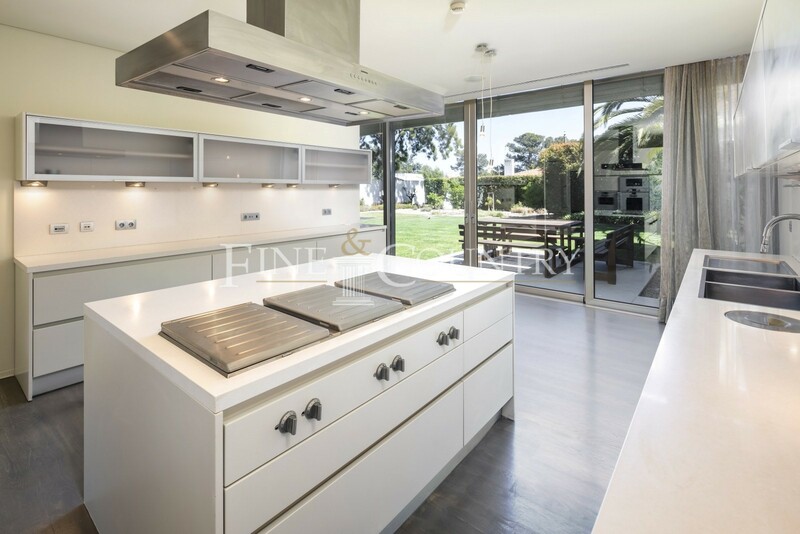 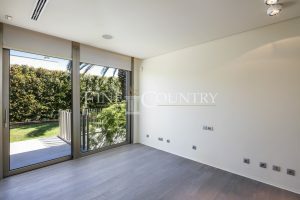 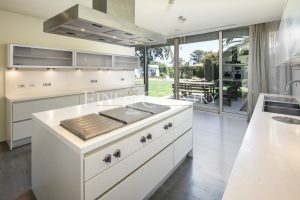 Adjacent to the fully-fitted kitchen with GAGGENAU appliances, island and access to the outside dining area is a small room that could be used as a nursery room. Furthermore, there is a gymnasium, the utility room, another WC and internal access to the spacious double garage. 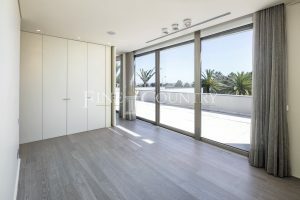 The first floor hosts the big master-bedroom suite with lounge area and a large private terrace overlooking the pool. In the basement of the villa, there is a fully equipped winery with refrigerator, a shower/ toilet/ sink and a cinema room. 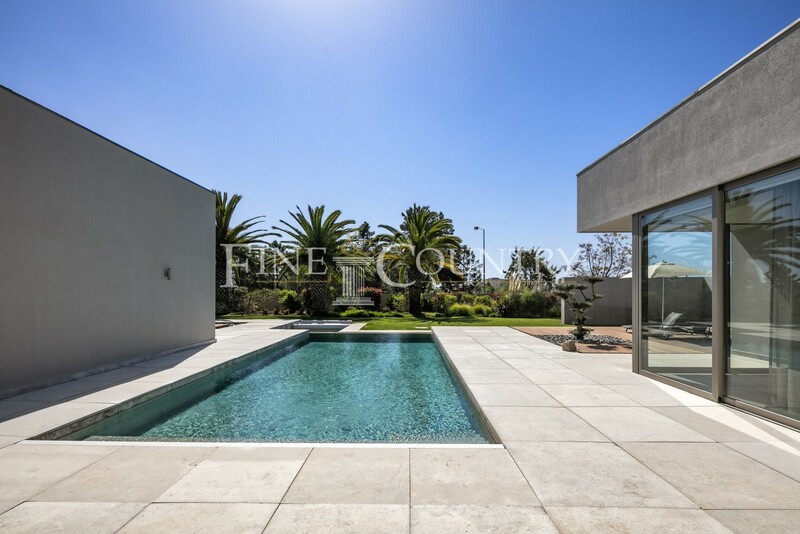 On the outside, the pool with a children´s pool allows for a maximum of privacy. It is surrounded by a decked area and beautifully manicured gardens with a small play ground. A self-contained 1-bedroom cottage provides additional accommodation. 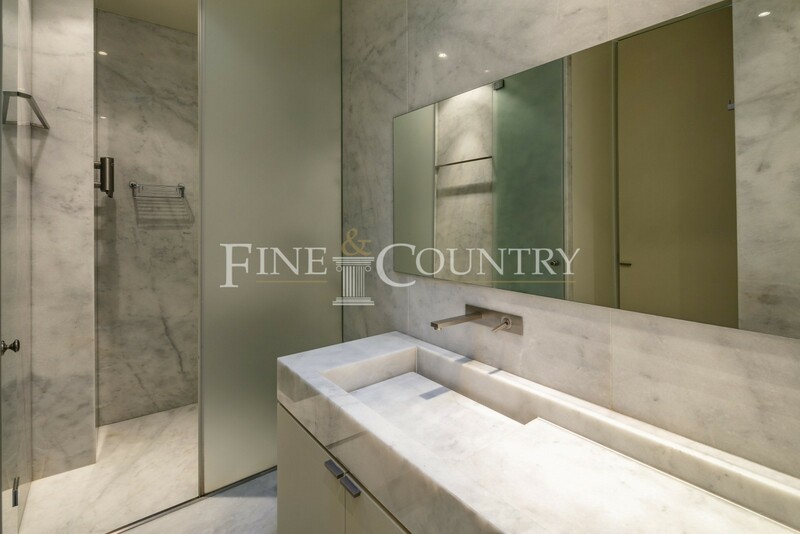 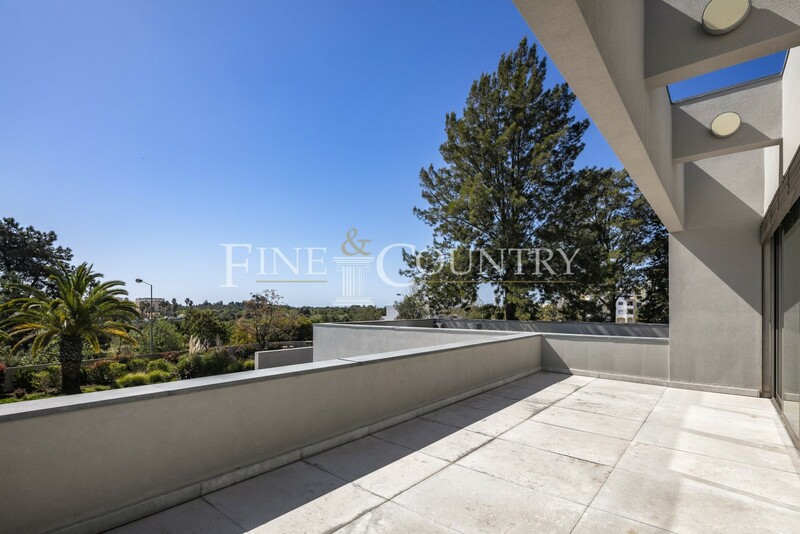 Perfect as a permanent residence and excellent rental potential.